The private lenders on Wednesday announced the financing for the 170-year-old property, known as the Art Factory and located at 60-70 Spruce St. The borrower, Great Falls Industrial Park Inc., will use the proceeds to pay off debt and make capital upgrades. 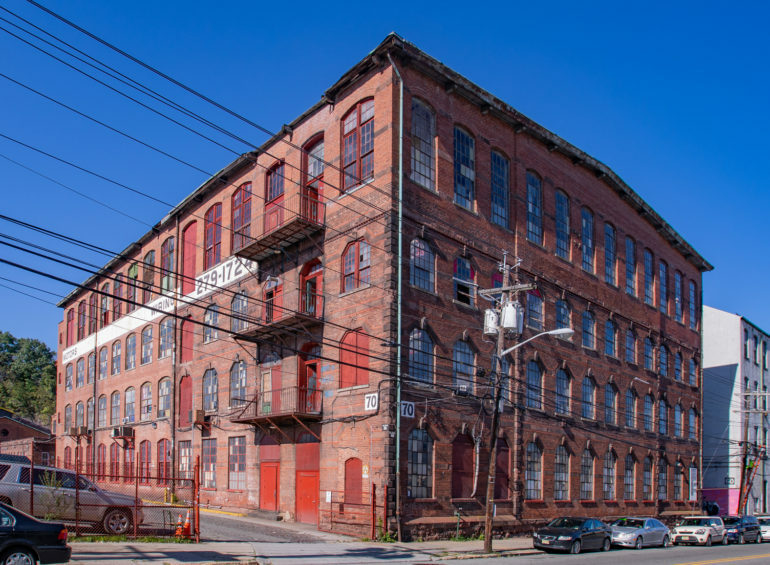 “We came through for the borrower, Great Falls Industrial Park Inc., and we are happy to help finance this key component of the ongoing cultural and economic revival of Paterson,” said William ‘Billy’ Procida, CEO and president of Englewood Cliffs-based Procida. Located between Interstate 80 and the Passaic River, the 21-building, 4.8-acre complex is the former home of the American Hemp Co. It sits within the Great Falls historic district and is home to some 90 filmmakers, photographers and many other creative professionals. Procida and Silver Arch, which is based in Hackensack, touted the completion of the transaction that was complicated in comparison to other loans. The collateral for the deal also included a three-building, 106,000-square-foot property at 468 Totowa Ave. in Paterson. According to the lenders, redevelopment efforts will include retail stores, exhibition and event spaces, light industrial spaces, more office and studio space. Originally built in 1844, with additions constructed in 1916, the property is known for its Old New York-like resemblance and intricate antique details, according to a news release. Production companies from around the world have booked Art Factory Studios for movie and commercial shoots. Beyond that, the lenders noted that carpenters, painters and metalworkers produce their crafts side-by-side in open and private studio spaces complete with high, lofty ceilings, large antique windows and original brick walls. Cobbled courtyards crop up between the buildings, providing a dramatic backdrop for photography and videography. A portion of the complex is also regularly rented out for weddings and corporate events, with close to 75 events scheduled for the next year. “Art Factory Studios isn’t a cut-and-dry office park,” Procida said. “It is such an interesting property with so many different purposes which can be too complicated for conventional lenders to even think about.